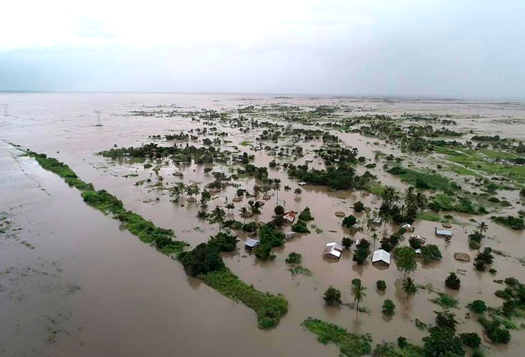 NEW YORK—International aid has started trickling into the east African countries of Mozambique, Zimbabwe, and Malawi to ease the humanitarian crisis created by floodwaters from Cyclone Idai. Relief efforts that were initially stifled by airport closures slowly gained steam March 21 and foreign governments began pledging aid to help the region recover from the worst flooding in decades. 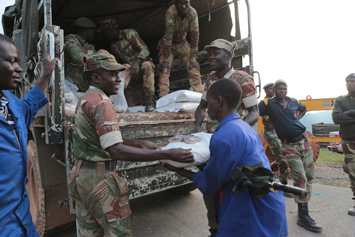 Soldiers hand out food supplies in Zimbabwe. The United Nations allocated $20 million for a humanitarian response to the crisis. The European Union released 3.5 million euros ($3.9 million) in emergency aid, while the UK pledged up to 6 million pounds ($7.9 million). Neighboring Tanzania’s military airlifted 238 tons of food and medicine. The United Arab Emirates plans to provide 18.3 million dirhams ($4.9 million) to Mozambique, Zimbabwe and Malawi, the Emirates News Agency reported March 21, citing the Emirates Red Crescent. Norway said it was providing 6 million krone ($700,000). 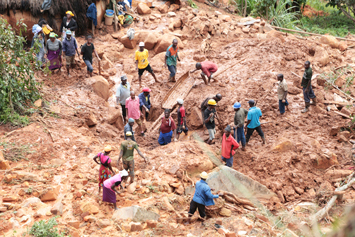 The U.S. Agency for International Development said it deployed disaster experts to Mozambique and provided $400,000 in emergency funding. The African Union Commission will give $350,000, according to its chairman. The slow-moving catastrophe of the flooding and the inability to access some of the hardest-hit areas has limited the ability of some to see the scale of the cyclone. But, Mr. Pickard said, as those details become clearer, aid will spike. A family dig for their son who got buried in the mud when Cyclone Idai struck in Chimanimani about 372.823 miles southeast of Harare, Zimbabwe, March, 19.